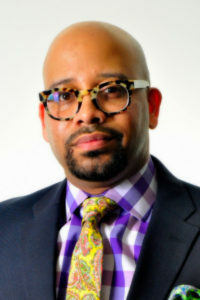 Dr. Kamal Wright-Cunningham is a licensed therapist (MD & DC) with fifteen years of counseling experience working with at-risk adolescents and families of under-served communities living in Boston, Massachusetts, New York City, and the Washington, DC metro area. Drawing mainly from trauma-informed and person-centered clinical practices, Kamal has successfully worked with clients who struggle with problems such as: depression, anxiety, untreated grief and loss, sexual trauma, substance abuse, self-injurious behaviors, and parent-child relational problems. Additionally, Kamal has a significant amount of experience working with court-connected clients and adolescents who have a history of truancy and academic struggles. By addressing these issues early with evidence-based interventions, clients experience a smoother transition into a healthier adulthood. Kamal is an interactive, solution-focused therapist who offers a safe, nonjudgmental and nourishing environment in which clients can heal and grow. Kamal is supportive and committed to helping his clients take charge of their life and successfully negotiate the challenges that they face!